Coping with death and organising a funeral will be one of the most difficult things we will ever be asked to do. 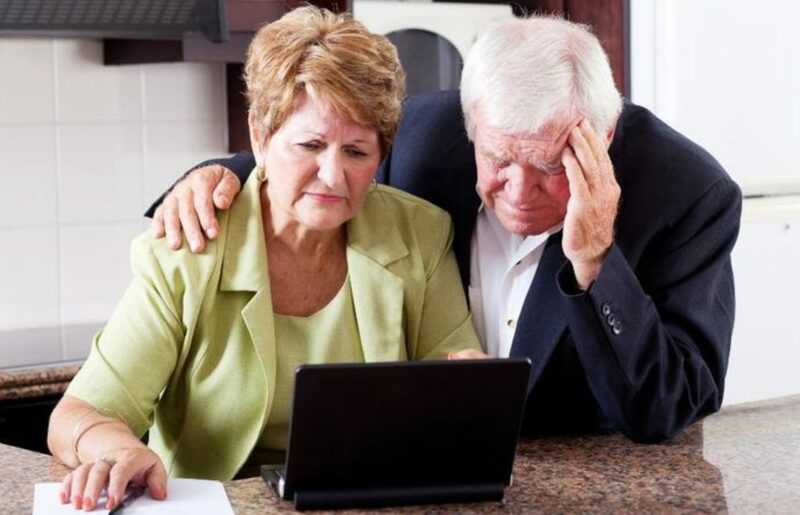 At the time of “at need” funeral planning, we are overwhelmed and are asked to make important financial decisions, at a time of when we are most vulnerable. It will be one of the hardest purchases we will ever make. We don’t what to do, who to trust and where to start. Many people feel so devastated and overwhelmed at a time of death that they assume they should leave all funeral planning to the funeral director. 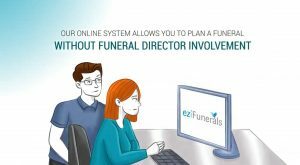 We believe – ‘that’s like giving the funeral director a blank cheque.’ eziFunerals online funeral planning service allow you to plan the funeral from the comfort of home – without a funeral director present. Being actively involved in funeral planning can be very therapeutic, and you won’t be grieving over the bill later. Guilt or proof of love. People often think that how much they spend is a demonstration of how much they love someone. And spending is often used as a way to make up for perceived omissions – “I should have visited the nursing home more often.” Don’t worry. You are amongst friends and you won’t be judged by the amount spent on the funeral. When one parent dies, it may be altogether too easy to say, “I want one just like the other parents funeral, without looking at the actual cost to see if that would make a difference. If your mother had always said she wanted something “simple” and you aren’t sure what she meant, you may end up purchasing a great deal more than something truly “simple.” Or perhaps your mother told everyone what kind of funeral she wanted, but she had no idea that it would cost far more than anyone could afford. Otherwise you could be still paying for the funeral many years later after they died. Funeral marketing and advertising today commonly refers to a “traditional” funeral packages (meaning elaborate and a good profit margin for the funeral company), with one funeral often looking just like the next. Families can enjoy making their own traditions. A unique and personalised funeral service is what others will remember, irrespective of the cost. Remember: You are among friends. You may feel obligated to put on a big “show” when the deceased has been prominent during his or her lifetime. Both David Bowie and the novelist Anita Brookner, went for “direct cremation”, where the body is sent straight to the cremator from hospital or home, with no attendance or ceremony. Ashes are returned to the family allowing family and friends to celebrate their life and relationships several months later, in a place special to them. Didn’t shop around for a funeral home with ethical prices. Many assume a funeral will cost just about the same anywhere. Or perhaps there’s only one funeral home nearby, so why bother. Surprisingly, you can save thousands of dollars – if you take the time to plan your funeral and get quotes through eziFunerals, before the moment of need. Failure to get itemised prices. This is related to the previous item but is especially important if you choose a funeral home without shopping around. eziFunerals protects a consumer’s right to choose only those funeral goods and services you want. Although some funeral homes are reluctant to disclose itemised prices, our members are only too happy to provide this information to you based on your personalised funeral plan created through eziFunerals. Ill-informed about the true cost of coffins and other funeral products. “You get what you pay for. Most people know what’s involved in buying general goods and services and if they thought they were an outrageous price; they probably would stop buying them. Yet few consumers realise that coffins may be marked up 300-500% or more. The coffin is usually the most expensive item in a funeral, with the average cost of a coffin or casket being between $1,000 and $4,000 however some coffins or caskets may be more than $15,000. If a funeral home price list includes a statement regarding cash advance items that reads: “We charge you for our services in obtaining these items,” did you realise that the funeral director will be making a profit on placing the funeral notice, for example— something you could have done yourself? You’ve been warned in writing, but how much extra will that cost? Skilled (or manipulative) sales tactics of the funeral director. Remember: Funeral directors are business people who deserve to be paid for what they do. However, it is your job, as a funeral consumer, to be well educated about your funeral choices, to determine the kind of funeral or memorial service that meets the needs of your family, and to locate an ethically-priced facility that will honour your choices with caring and dignity.